You are here: Home / HVAC Info & Articles / Articles / What’s that Smell Coming from my Furnace? Have you noticed an unusual odor in your home when your furnace is running? Does it seem to be coming from your vents or from the furnace itself? Different smells can mean different things, some of which may indicate a problem. Some smells may mean you should contact the company that handles your propane delivery in Reidsville, and other smells may be harmless. This guide will help you decide what to do. Rotten egg or rotting smell. Propane and natural gas are naturally odorless, so an odor is added that smells like rotten eggs or rotting in general. This makes it easier to detect in case of a leak. If you smell this, you could have propane or gas leaking into your home. Turn off the furnace and get out of the house to a safe location and call your fuel supplier or gas company. Smoke. Where there’s smoke there may be fire. You should definitely not smell smoke or see smoke coming from your vents or furnace. If you do, or if your smoke detector goes off, turn off your furnace and contact your HVAC company. If you see or suspect a fire, get out of the house and call the fire department. Singed wires or metal. If you smell an electrical burning smell, like when wires or metal gets overheated, that may be exactly what’s going on. The electrical wiring inside your furnace could be getting too hot or shorting out. Turn off your furnace and call your HVAC service provider. Formaldehyde or strong chemicals. This smell could indicate a crack in your heat exchanger, which could cause a chemical-like odor. In this case, carbon monoxide could be leaking into your home. Turn off your furnace, get out of the house, and call your HVAC repair company. Burnt dust. If you smell burnt dust the first time you turn on your furnace for the season, this is completely normal. However, if the smell persists for weeks you may have a problem. A thorough cleaning and tune-up for your furnace will likely correct this problem. Musty or dampness. This is also normal at the beginning of the cold weather season. Your furnace has been sitting dormant in humid weather, so it may smell a little musty. If the odor continues beyond the first week of use, it’s possible you have a mold or mildew problem that needs to be corrected. Oil. This can be the result of a dirty, clogged filter. Replace all of your filters with new clean ones and see if the smell dissipates. If not, call your HVAC company for a check-up. Unusual smells coming from your furnace could be caused by a problem with your heating fuel or the system itself. 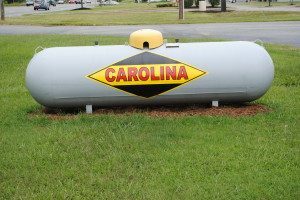 Whatever the cause, Carolina Fuels can help. An all-in-one home comfort service provider can handle every aspect of your heating system from furnace repair and replacement to propane delivery in Reidsville. Don’t ignore strange smells, call (336) 273-8663.
https://www.berico.com/wp-content/uploads/2018/12/header-logo-new-3a.png 0 0 Team Berico https://www.berico.com/wp-content/uploads/2018/12/header-logo-new-3a.png Team Berico2018-01-10 19:38:152018-02-02 19:38:48What's that Smell Coming from my Furnace?